When it comes to making our manicures last, we consider ourselves pros: We layer on base coats, use the best long-wearing nail polish formulas and finish it all off with a top coat to keep everything locked down. Even so, every mani has its lifespan — and you're going to have to return to the salon eventually. 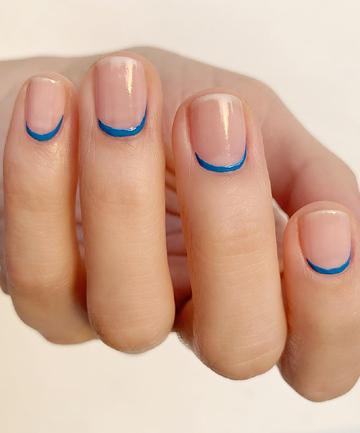 That's why this nail art hack is such a gamechanger: Turns out, with the right flair and attitude, a swipe of polish at the cuticle is all you need to give your manicure a whole new lease on life. Keep reading to see some of our favorite takes on the nail art trend, from silvery glitter accents to mod half moons.